In my last post I talked about the importance of having a story driven element in a Wedding Film. I will talk some more about that in this post but essentially talk about how Julian Voigt Wedding Films creates that story element in the wedding video. We have all no doubt sat through boring wedding videos that follow a predictable formula- they look like a wedding video! How the Wedding Video industry has changed in the past ten years! Good wedding videos have become like a film or documentary with a high production value. This has been achieved in part by the advent of affordable high end video production equipment that is now affordable, when I say “affordable” yes we are still talking thousands of pounds but not ten’s of thousands of pounds as would have been the case ten years ago. So making a cinematic wedding video is a lot more do-able these days. So the buzz word in the wedding videographer community is ‘cinematic’ we all aspire to creating ‘cinematic’ films. So according to that definition, “cinematic” means “film like” and can include the “adaptation of a Novel…” OK, filming a wedding isn’t an adaptation of a Novel but… we are trying to tell a story just like a Novel! So how can that be achieved? A typical wedding video is usually around 20-30 minutes long hence for the videographer there isn’t a great deal of room for developing a story and it is a wedding video after all! Hence we are talking about a ‘story element’ to the film. I have found in my limited experience that a narrative is one of the best ways to get that story element into the wedding film. So what’s a narrative? Essentially someone telling a story! It could be the groom talking about how they first met, fell in love, how he proposed! If you can buy out a little time preferably before the wedding day, but hey it can be done on the wedding day too, grab the groom and set up the camera with him talking about all or some of the above. This then becomes your narrative– the story or sub plot to the wedding film. You can add his narrative audio to other images of events happening during the day, like when the couple are getting portraits done or are grabbing a few precious moments together after the ceremony. By mixing these images with that audio you instantly have a story! This takes the wedding video and turns into into a wedding film. Think this way; you want to give people a reason to watch your wedding video! The story is the reason the hook that keep them watching! Yes the couple will watch their wedding video no matter what because it’s their wedding video, but if we think in terms of the wider audience- friends- family people looking at your work on your website and deciding whether to book you or not as their videographer it makes sense to add that ‘story element’ in there. OK, what if the couple don’t want an interview in their film? We can look for other opportunities to build narrative- maybe we can grab an element of one of the speeches as there is usually some story being told by someone during the speeches. Even without narrative audio a selection of well chosen images in themselves can tell a story- we can all think of those movies that started with a scene of the camera looking a photo’s set in a home somewhere and you knew that the people in those photos were going to feature in the film and be part of the story. Paul & Chantal contacted me late November to see if I was available on New Years Eve to Film their wedding at The Villa in Wrea Green Lancashire. They had come to me via a recommendation from Heather Rigbye a great Photographer that I had had the privilege of working with on a wedding a few months earlier. As I had no weddings booked for the 31st of December I said yes. Where possible I always like to meet with the couple who’s weddings I film before the wedding day to get to know a little something about them and their story- I say ‘story’ because that is essentially what I am looking to create in the wedding film an element of story- how they met, fell in love and the proposal. This is something I always look to build into my wedding films. The first ever wedding film that I shot in Manchester for Kris & Jenna had that story element in it very soon into the wedding film you see kris talking about how he met Jenna on a night out in Manchester at The Venue. Many wedding videographers do not include the story element in their films and this was something that I as a relatively new wedding videographer on my first wedding shoot in Manchester wanted to incorporate right from the beginning. I met up with Paul, Chantal and Paul’s Mum & Dad at the Villa a few weeks before their wedding and very quickly it became apparent that Paul & Chantal’s story was a particularly lovely one. Paul and Chantal took their time getting to know each other as friends first over many months and from that close friendship love blossomed. Listening to both Paul & Chantal talk about each other reminded me that a strong marriage is built on more than just physical attraction alone that there also has to be a deep bond of love respect and admiration for each other and that was certainly evident with Paul & Chantal. I really do feel it’s a very privileged job that I have not just documenting their Big Day but helping tell their story. This I feel is my USP a story driven element to the wedding film. I achieve this firstly by getting to know the couple by listening to their story, I then get to know who in their lives are an important part of that story because they will need to feature in the wedding film too. For example, June, Chantal’s grand mother was very close to Chantal being almost like a mother figure to her and so it was important that there was an element of that very special relationship in the Wedding Film. Talking with Paul it became apparent just how much his Mum and Dad meant to him and just how much he admired his dad who he referred to as a “a legend” in his speech. If those elements are missing from the wedding film then I think the film looses it’s heart and becomes just another wedding video. When I started my business Julian Voigt Wedding Films I wanted to create wedding films that were a little bit different than the typical wedding film that focuses more on the details and less on the couple in my mind the couple are the wedding film. Julian Voigt Wedding Films covers Manchester, Cheshire, Lancashire and beyond. If you live in or around Manchester and are getting married soon then the absolute best way to document your day and remember it forever is with video. Wedding Videography has improved considerably in the past 10 years and it needed to goodness when I look at my Wedding Video -which is not very often! – I cringe. The reason? Apart from the fact I look about 15 years old, it’s just how cheesy and predictable the wedding video is. That was 1991 ok what did I expect! But fast forward to early 2001-2005 and still, Wedding Films were very formulaic and predictable. Fast forward some more to 2010 and we see an evolution has taken place, Wedding Films have improved considerably! (not all of them ;). The Buzz word among Wedding Videographers is; ‘High Production Value’ – what is that I hear you ask? Well, many Wedding Film makers mistakenly think that the more Hollywood Film like their wedding video is the more interesting it will be to watch. They think by employing the use of hi-tech gadgetry like Gimbals- Drones- Sliders and Cranes that their wedding film will look like a ‘real movie’ but the question I think we as videographers should be asking ourselves is; ‘what type of movie do I want my films to look like? More importantly, what type of movie do the couples I am seeking to attract want their wedding film to look like? While I see a huge improvement in the quality of wedding videos I can’t help notice a trend that can make many wedding videos look all alike. The trend I see is the over use of Gimbals, sliders and Drones. When used selectively and sparingly, yes they can add an element of movement and change of pace to a wedding film. However, when one shot follows the next with a slider movement or gimbal shot or repetitive shots of Birdseye like drone footage -it can take the viewer away away from what’s happening in the frame and more importantly the people in the frame- the couple. The result? We then inadvertantly draw attention to ourselves. On the other hand static shots force the videographer to fill the frame a bit more creatively and cause the viewer to focus more on what is happening in the frame rather than the camera man that’s filming the scene. I think many videographers fall into the trap of trying to impress fellow videographers more than the couple, who let’s face it are the stars in their own film. Static shots also make the videographer think a little harder about the ‘story’ element in the film. Rather than relying on Blockbuster Movie techniques and movements the videographer has to think about what is happening in the frame. The question I often ask myself is; does this particular shot help me tell a story? When I say ‘story’ I don’t just mean the overall story of the wedding day but I am also talking about the ‘story’ within a story! For example the interaction between a Bride and her mother during Bride prep- it might be just a look, a touch or a tear. A few well chosen shots creatively edited together can tell the ‘story’ within a story. This is one reason that in my style of filming and editing I limit movement and keep the majority of my shots static I want my viewer to be full drawn into the frame. Wes Anderson is a master of this technique because the thing that characterises is his Films is his use of framing. An excellent example of this is his 2007 short film ‘Hotel Chevalier’- the opening scene of the Hotel reception which looks to me to have been shot on a 35mm lens is a perfect example of his use of static shots where the viewer can’t help but be drawn into the film. The result? You become intrigued by the character in the film rather than the film- does this make sense? I want my couples to be the characters in their own films that the viewer is drawn to- so it all about the couple and not the videographer. Ok, I admit I am unlikely to become the next Wes Anderson, but I’d rather be taking my inspiration from someone like him than just other Wedding Films. I think by studying Directors like Wes Anderson, Woody Allen, Stanley Kubrick and other Film Makers that produce character focused films, we are far more like to produce something that is both creative and artistic. 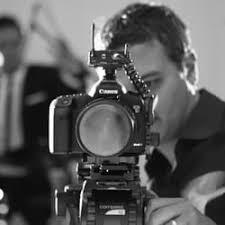 There are just a few Wedding Film makers that I do take inspiration from who in my opinion are not running with the herd and doing something a little bit differently, they are; Phillip White, Daniel Armitage and Alejandro Calore. Go check out their Films. Paul & Chantal’s Highlight Film from julian on Vimeo. Planning a wedding? 3 Things you MUST know! 1. How do I plan to remember my Big Day? 2. How much of my Wedding Budget should I set aside to remember the day? 3.How do I find the right Photographer or Videographer to make sure that day is documented in the way I want to remember it? So, let’s deal with the first question; How do I plan to remember my Big Day? Traditionally Photographers are above Videographers on the list of a Brides wants and Photograph’s do capture your day in a unique way. How though do you find the right photographer? What style of Photography do you want? How much should you spend? Finding the right Photographer is not something you should rush at, let’s face it you will have to live with those wedding photo’s forever! Often a Bride spends more time choosing a dress than a Photographer but that dress won’t ever be worn again and more important wont be captured in all it’s glory if you don’t choose a good photographer! So take your time choosing a photographer. Yes what’s your style? Do you want to document the day as it happens and capture spontaneous candid shots that really evoke memories as they happened or would you prefer Portraiture Style Photography that is a more classic style of wedding photography? – Think of your parents wedding photograph’s – more posed and set up shots that feature beautiful backdrops and scenes? It’s good to know what your style is before you go shopping for a Photographer because some photographers excel at Documentary style and others more Portraiture style- the last thing you want is to look back on your wedding photo’s and not like them- in fact this is more common than you might think! Maybe you would like a mix of the two styles – Documentary Style and Portraiture? If this is the case then you need to find a photographer that specialises in both. Also be sure that once you have chosen your photographer you communicate clearly to them exactly what you are looking for that way you are more likely to be happy with the pictures you get. Hopefully you will now realise than documenting your day should be high up your priority list and that the other elements will only really be remembered if you make the right decisions when it comes to choosing a Photographer and Videographer. The old adage, ‘You get what you pay for’ is generally true. However, there is a balance to be struck- while you shouldn’t look for the cheapest wedding photographer and videographer that you can find you shouldn’t necessarily look for the dearest either. A good Photographer or Videographer should be in demand if he or she is good they will be! If they are in demand the chances are they won’t be the cheapest around. When budgeting for your Big Day you should be thinking in terms of setting aside a considerable portion of your funds to documenting the day right. Your Photo’s or Video will be with you forever your dress, venue, cake (hopefully not) honeymoon destination won’t be. They will be long gone and if not documented correctly forgotten too! So shop around and have a good look at what’s on offer. Ask to see examples of photo albums and videos produced. Make sure the company you are looking to deal with offer you a consultation whereby you can chat about what is important to you and what style you are looking for- we at Julian Voigt Wedding Films offer all our couples a FREE home visit and consultation and we put as much emphasis on the planning side of your Big Day as to the actual Filming of it! We make each and every wedding film unique to the couples who have chosen us. Plan well in advance. Because having your Big Day documented is going to take up a considerable portion of your wedding budget it’s best not to leave choosing a Photographer or Videographer to the last minute as this will invariably mean limiting who you can choose to capture your Big Day especially if most of the wedding budget has already been spent. Planning well in advance on getting a good photographer or videographer will ensure you have enough in the budget to get the photographer/videographer of your choice and not a bargain basement options. Remember, this is a decision you will I’ve with for the rest of your lives! A good rule of thumb is to avoid the cheapest options out there and choose a professional that might not be the cheapest but perhaps has got some particular offer on- which leads me to my next point: photographer/videographers are quieter in the off season which is generally October-Februrary and that’s when they are more likely to put on offers to get their Diaries full, so this could be the best time of year to go looking for a good photographer/videographer but at a slightly lower price. Remember, you will never know the importance of a moment until it becomes a memory! http://www.julianvoigtweddingfilms.co.uk/wp-content/uploads/2017/09/Julian_voigt.png 0 0 Julian Voigt http://www.julianvoigtweddingfilms.co.uk/wp-content/uploads/2017/09/Julian_voigt.png Julian Voigt2018-02-06 22:15:222018-03-04 15:45:29Planning a wedding? 3 Things you MUST know! 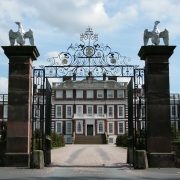 In my last blog post I talked about the Granduer that is Knowsley Hall in Prescott. In this Blog I will talk about the Wedding Film that we produced for Laura & Chris. As mentioned in my last blog I always try to capture something of the venue and location that the couple have chosen to celebrate their marriage. I do this because it is for good reason that they have chosen a particular venue. The thing that struck me about Knowsley Hall was the magnificent views from the huge windows out to the grounds so in the wedding film you will see a few shots of the camera shifting focus from the background to the foreground- the room looking out the window to grounds and gardens outside. The bridal suite a grand old room with high ceilings and big windows was perfect for what I had in mind which was to ask the make-up artist and hair dresser if they wouldn’t mind me switching off the lights for 10 minutes or so while I got some artistic shots of the bride and bridesmaids getting their makeup done with nothing but natural light coming in. In photography & videography we often insist that all pictures and video be ‘properly exposed’ in other words peoples faces fully exposed. However in an effort to create mood and a truly cinematic film it’s often good practice to get some shots of people in more dark surrounding only partially exposed and use only natural light and shadows to create intrigue as the viewer is having to work a little harder to make out what’s happening. This may seem counter intuitive to many videographers but if you watch classic old movies that drew you into the film with cinematography rather than effects you’ll see they master the use of lighting and composition. With Chris & Laura’s Wedding Film being shot at Knowsley Hall this was the perfect setting to use these techniques. Yes it’s a gamble because if you don’t get this right you could end up with footage that is not usable- a videographers nightmare! So I would suggest that you do need to make sure you get enough other footage of correctly exposed faces to balance the darker more moody shots- always get more footage than you need to give yourself room in the edit to make choices, one of the biggest mistakes I made early on is that I didn’t get enough footage and then if what I had got wasn’t top quality I would be stuck! So give yourself an insurance policy- get lots of footage! On the 28th of December 2017, Julian Voigt Wedding Films filmed their first ever Wedding at Knowsley Hall in Prescott in Merseyside. 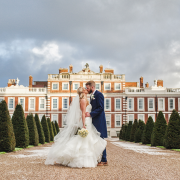 It was a cold but bright and crisp winter’s day – perfect for a winter wedding! When we first arrived at Knowsley Hall we were immediately struck by just how grand a place it was. You feel like you have stepped back in time and at any minute Mr. Darcy might just come walking through the door. After our induction- a 15-minute talk and form to fill in we became very much aware that this wasn’t just a fancy wedding venue but in actual fact a museum. The priceless works of art and furnishings are treasured to the extent that the staff keep the huge thick curtains closed most of the time to protect them from the effects of the sun. Talking about the staff we found them not only very professional but delightful and very cooperative. After receiving our induction and brief we set out to create the wedding film with a sense of trepidation. 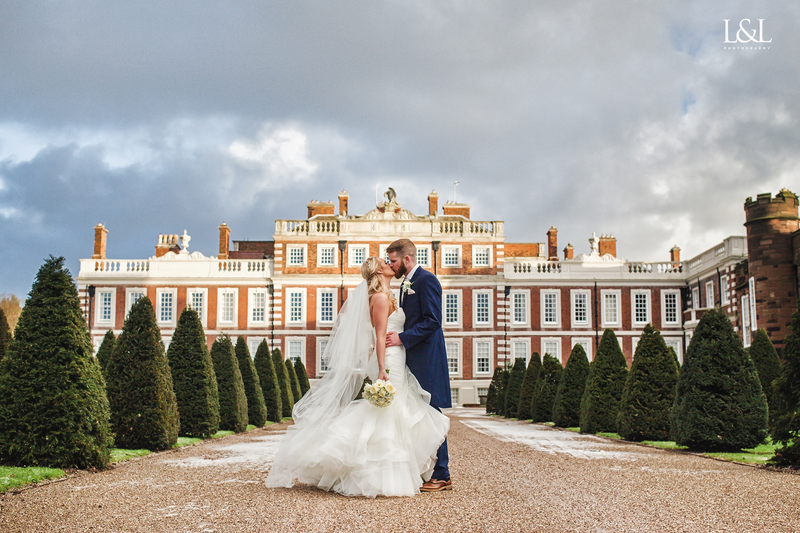 Knowsley Hall is so impressive from the outside and the beautifully manicured gardens are the perfect setting for this jewel. When creating a wedding film for a couple I always try to not only get a sense of them in the film and make it truly unique- to them but also get a sense of the location that they have chosen to celebrate their wedding. I knew that this wedding film had to be special and have a sense of grandeur to it and hence one of the first choices I had to make was the style of music to license for this film. 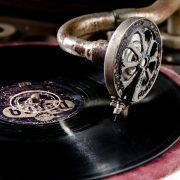 I decided that the music had to compliment the surroundings hence I choose music with a classical feel. On the day of filming, it would have been an absolute crime to not capture the grandeur that is Knowsley Hall. There is a delicate balance to be struck here in that you do not want to make the wedding film more about the beauty of the location and not about the beauty of the bride and groom! Hence it takes some time in the editing process to carefully balance the footage and frames to achieve the above. 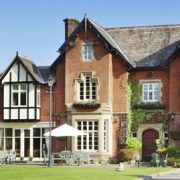 When I decided to launch Julian Voigt Wedding Films in Manchester I had already decided that I would cover more than Manchester alone, that in reality, I wanted to film weddings all over the country- eventually and shoot weddings in amazing locations that would truly make a beautiful wedding film. 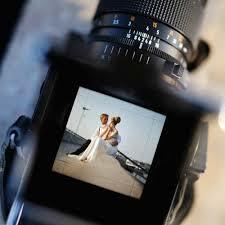 Every Wedding Film Maker want’s that beautiful portfolio piece to add on his website and show off to the world. The minute I arrived at Knowsley Hall I knew that this was going to be one of those portfolio pieces! I will talk more about this wedding film in my next blog post because one post about Knowsley Hall would not do it justice but in the meantime, if you want to have a peep at the trailer version of the wedding film we shot at Knowsley hall in Prescott then you can check that out here. Knowsley Hall Wedding of Laura & Chris Marlow from Julian Voigt on Vimeo. Choosing the right music can make all the difference to the finished wedding film- in fact i would go so far as to say the music is just as important as the visuals! Why do I say that? 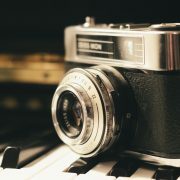 Well music in my mind is like the foundation on which we build our structure- the wedding film. Think to some of the best movies you have seen and then mentally remove the soundtrack that was used. Now think, how much would that movie move you? Think Star Wars and John Williams, or think ET also composed by John Williams- would we have shed a tear without that music? Now I know that a wedding film isn’t a blockbuster movie like Star Wars or ET but the principle is the same and the objective too- that is to move our audience, to help them connect with their emotions and that is even more important when it comes to filming weddings- because as my strapline says ‘it’s all about the emotions…’ Hence before i get into the serious work of editing my wedding films one of the first things i do after dragging a few clips from the video footage into my timeline is to find the right music for the film. Is the Music as Important as the Visuals? Now while i certainly think that the music truly is as important as the visuals I don’t think it is more important, hence the music I use is always just in the background and never dominating the wedding film. I rarely also use music with vocals because again I want the music the enhance the visuals not overshadow them. Having said that I did choose a track with vocals for Rob & Bobbies wedding because the song I chose summed up their style. When looking for the right sound tracks- there are usually about three or four tracks lasting around 4 minutes each used in the 30 minute long film. I can honestly spend a couple of hours listening to various tracks and comparing them not only with the footage I have shot but also the couple and their individual style. For example the music I use in a wedding film that features a couple in their 30’s with a more traditional wedding will be very different from the music I choose for a younger couple say in their 20’s who’s wedding has a completely different feel- say they dispense with a lot of the traditional elements of a wedding and have a unique feel to them I will always choose music that fits the couple. 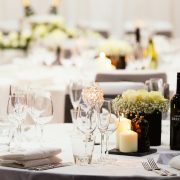 I am not saying that I ask the couple for their preferences as I believe this should be the job of the Wedding Film maker and he should retain creative control- however I do take the tastes of the individual couple into consideration and the overall feel and style of the wedding they have chose. When is there Too Much Equipment? In my last blog- ‘To Drone or not to Drone’ I was discussing the pros and cons of adding gadgets like drones when filming a wedding. Basically that blog stated that in my experience the more equipment we bring along to film a wedding the more of a challenge it can be operate as a creative film maker during the day. Surely, you might ask, “do not drones, sliders, jibs and cranes all add those cool looking shots to a wedding film?” They can but… here’s the problem. A wedding unlike a Hollywood movie does not afford the wedding film maker the luxury of time unlike a Hollywood film. Essentially a Wedding Videographer is a documentary film maker- in other words you capture what is rather than create it. So the more equipment you have to carry the less ready you will be to capture that unique time sensitive moment. Moments like the father of the bride seeing his daughter in her wedding dress for the first time or perhaps something as simple as a look between the bride and her mother- a truly unique and special moment in time never to be repeated. I honestly think how honoured I am to have a part in capturing that hence I am always very cautious in adding equipment to my arsenal that could potentially slow me down or worse cause me to miss a truly special moment. Yes they are exactly that- MOMENTS- they may last seconds but in my mind it’s the job of the wedding film maker to be on the look out for those moments. One person that has influenced my thinking on this subject is the award winning film maker Philip White. Having had the pleasure of attending his ‘Beating Hearts Wedding Film Masterclass’ workshop I understood what he meant when he advised the class to simply, “strip back to the camera..” By striping back to just the camera and the videographer you become more creative and pay more attention the things that truly make a wedding film more cinematic, more than any one piece of equipment can, namely lighting a composition. Lighting and composition when done correctly really do make a wedding film film like, it’s almost like the camera becomes like your third eye- something that’s part of you. It’s hard to acquire that level of connectedness with your camera when you are busy hoisting around a slider, drone and even tripods. http://www.julianvoigtweddingfilms.co.uk/wp-content/uploads/2017/12/vintage-camera-.jpg 1271 1920 Julian Voigt http://www.julianvoigtweddingfilms.co.uk/wp-content/uploads/2017/09/Julian_voigt.png Julian Voigt2017-12-22 12:19:542019-01-17 21:33:42Just the Camera? Is Drone Footage Necessary for a Wedding Video? secondly the location the couple had chosen for group photo’s was absolutely stunning! Carrock Fell in the Lake District is so stunning you can imagine Brave Heart or some other epic cinematic masterpiece being filmed there. So you can imagine my excitement in having such a backdrop to one of my wedding films! Thankfully the weather was kind to us and apart from it being a little bit breezy we had a nice bright sunny autumn day. larger than life feel. When we are watching a movie we are probably not aware just how often drones are used to get a particular shot or set a scene. I decided with Rob & Bobbies wedding film that I didn’t want to overdue the drone footage but wanted to interweave it subtly into the film without it being too much. I think I managed to achieve that quire well, but you judge for yourself and see the highlight version of Rob & Bobbie’s wedding film here: So yeah drones can make a wedding film look ‘cinematic’ and we at Julian Voigt Wedding Films are always looking for way to create a wedding film with that cinematic feel and quality to it. But utilising gadgets- like drones in my mind are like seasoning- best used sparingly or they can ruin the dish! So we have talked about the pros of adding drone footage to a wedding film but as mentioned earlier here are a few cons to think about. Having more equipment to think about the videographer is naturally a little more distracted and there is a very real danger that while the videographer might be sorting a drone out ready for launching to capture a single shot or moment he may be in fact missing other real moments that once gone cannot be re-captured. In other words; in an effort to capture one great shot to make the wedding film looking great we could be missing five very real moments in the wedding day. 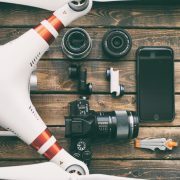 Generally speaking the more equipment that the videographer has to worry about the more real moments could pass him buy while he is distracted with gadgets like drones. Also launching a drone means that the pilot has to secure the area and make sure that the safety of any people nearby is paramount! Having this year taken my PFCO Drone Pilots exam(and thankfully passed) I can tell you that a lot of advanced planning and checks have to be performed before a Drone can even take off. On the day I filmed Rob & Bobbie’s wedding and was preparing to launch the Drone at Carrock Fell I was immediately surrounded by excited children all wanting to have a look at the Drone this was followed by a few anxious parents asking some questions about safety. So yes while we will be offering Drone footage to our couples going forward for our wedding films in 2017 we will be firstly briefing the couples on exactly what is involved by launching a Drone close to a lot of people and also informing them of the additional cost we have to charge to add drone footage. All in all my thoughts are thus; I don’t think you do not need Drone footage to produce a stunning wedding film that has a cinematic feel but yes when used sparingly and artistically drone footage can really enhance a wedding film. More here..
http://www.julianvoigtweddingfilms.co.uk/wp-content/uploads/2017/12/drone-footage-for-a-wedding-film.jpg 769 1024 Julian Voigt http://www.julianvoigtweddingfilms.co.uk/wp-content/uploads/2017/09/Julian_voigt.png Julian Voigt2017-12-22 11:36:482018-03-04 16:12:54To Drone or not to Drone?